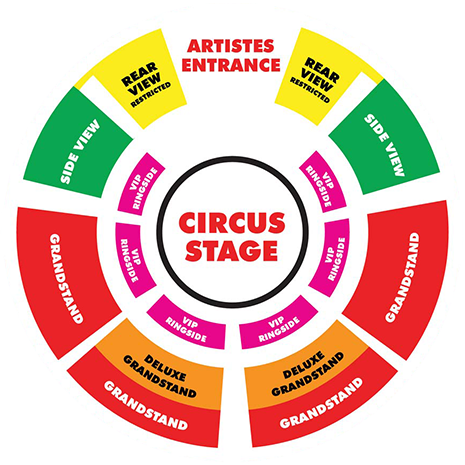 The Circus Box office will be open daily at each venues, as advertised, from 9am to 9pm. There are 500 unreserved seats available for every performance. VIP Ringside: Three rows of individual chairs all of which are on floor level and surround the stage. This area is wheelchair accessible & step free. All areas are NOT numbered so please arrive 45 minutes before the performance to avoid disappointment.